I got to the end of this book and said a big “awwwwwww”. It’s the kind of read where you know how it’s going to end but that didn’t mean it wasn’t a completely satisfactory – it was. The heart of the story is Rabbits Leap where Jody lives. It’s a quaint little Devonshire village and it’s where she grew up. Despite big dreams, she’s been there all her life with her twin boys. 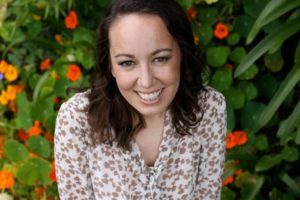 For reasons that become apparent as the story progresses, Jody is helping to organise a fundraising festival for the village and hires Christian, a high-flying events manager from London to help out. They’re drawn to each other immediately but the course of true love never runs smoothly, does it (well, not in books at least)? What follows is a love story with lots of fun moments and sad ones too. I thought The Big Little Festival was such a sweet read. I love books where they’re part of a series but each time the focus characters are different yet the setting is the same and some of the same people appear. I haven’t read the first Rabbits Leap book yet but a quick glance at the first chapter tells me it features a character that appears in a small way in The Big Little Festival. I read this book in two days and couldn’t put it down once I had got over the half way point. I enjoyed the tension and desire between Jody and Christian, the coming together of the festival and the Rabbits Leap natives, especially Mrs Harper and Mrs Hunter who are those kind of people who can’t stand each other one minute and the next are all sweetness and light. Lots of fun, lots of lovely moments and just a really pleasing, easy read. 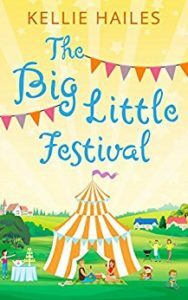 If you like the sound of The Big Little Festival then it’s available in ebook and paperback from Amazon and also in paperback from Sainsbury’s. Or maybe you would like to win a paperback copy of the book and a ferris wheel charm.